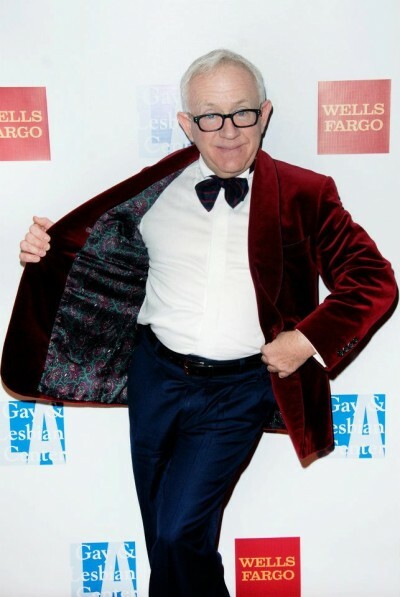 Happy Birthday to Leslie Jordan! He may stand just 4 feet, 11 inches tall but Leslie Jordan is a huge talent. The Emmy winning star is probably best known to the masses for his recurring role as Karen Walker’s bitchy nemesis, Beverley Leslie, on Will & Grace. But his greatest role, in my opinion, is that of Brother Boy in Sordid Lives which he played on stage, feature film and in a television series. He also appeared on Broadway in his one-man show My Trip Down the Pink Carpet based on his memoir. There is a DVD available! More recently, Leslie had a role as a newspaper editor in the huge box office hit The Help, did guest spots on Desperate Housewives and The Game, and had a delightful cameo in the documentary Hollywood to Dollywood. I last chatted with Leslie in November at the LA Gay and Lesbian Center’s annual gala and wondered what he thought about a growing feeling among some that the LGBT community is becoming too mainstream. But would he be as brilliant as he is, especially in his one-man shows, had he not had those difficult experiences? Happy 57th birthday to Leslie! Appreciate his huge talent and his friendship/working relationship with Del Shores. Gus Kenworthy celebrates 26th birthday in Paris!